Carpet spots come in all shapes and sizes. Some seem to sneak up on you out of nowhere. Carpets just don't stay clean they are designed to get dirty over time. They are also designed to release that dirt with a professional carpet cleaning. In Tampa FL sand is the biggest culprit. Sand gets in between the carpet fibers and begins to scratch the fibers. This not only allows dirt to accumulate it also dulls the carpet's appearance. The best thing you can do to get the sand out of the carpet is to vacuum it on a regular basis. Even still sand will accumulate. Eventually, you will need to have the carpet professionally cleaned to ensure the health of your carpet. 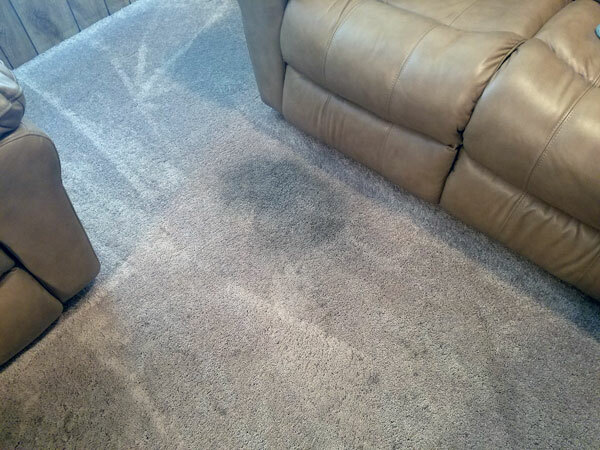 Chem-Dry of Tampa has an amazing carpet spot removal service that takes on some of the toughest carpet spots. These before and after pictures are of a Tampa FL home that is near a lake. A lot of sand and fine soil had made it's way into the home over time and left these dark spots in front of their sofa. 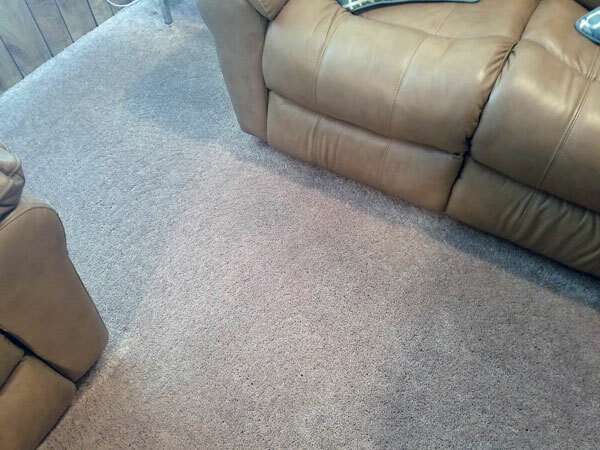 Our hot carbonated extraction carpet cleaning service made short work of these spots and brought the carpet back to a more even tone. There is no reason that you have to live with carpet spots in your home. We can take care of the spots in your carpet that have been driving you crazy. With an amazingly powerful cleaning solution that use bubbles to clean instead of soaps we can clean your carpet and have it completely dry in just a few hours. Call today for a free estimate.